Note: Aromaleigh is closing down so these products will not be available but I will post the description to help with finding similar colors. Pillow Talk : Pale buff pink with violet sparkles. 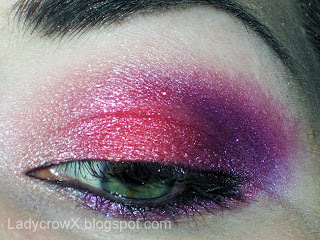 Hot Stuff : Can't resist vivid coral-red soft frost with violet sparks. 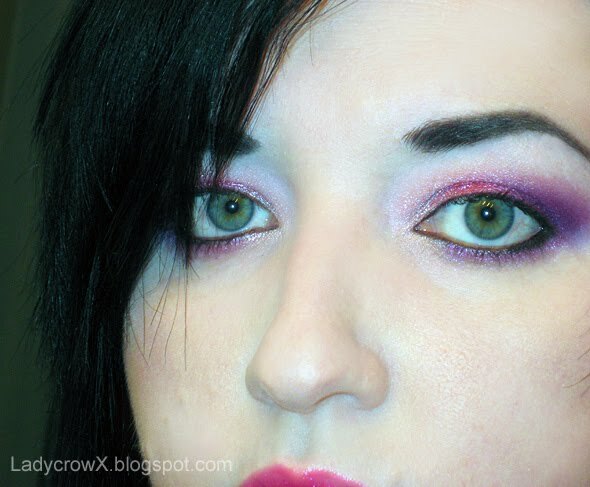 Heart and Soul : Sheer, easy to wear vivid magenta with sparks of pink. OMG love this! Hot Stuff was a favorite of mine! Gorgeous! Every thought about going a LOTD for my blog? @Eplefe you haven't been able to try any of them at all ever? :( How come?? This looks lovely, the colour combination is beautiful.